« Whistle – It’s Spring! If you want to impress your guests with a fancy little salad, this is super easy to do and makes for a fun start to your meal. Ingredients – you can use whatever combo you want of lettuce, veggies and dressing. 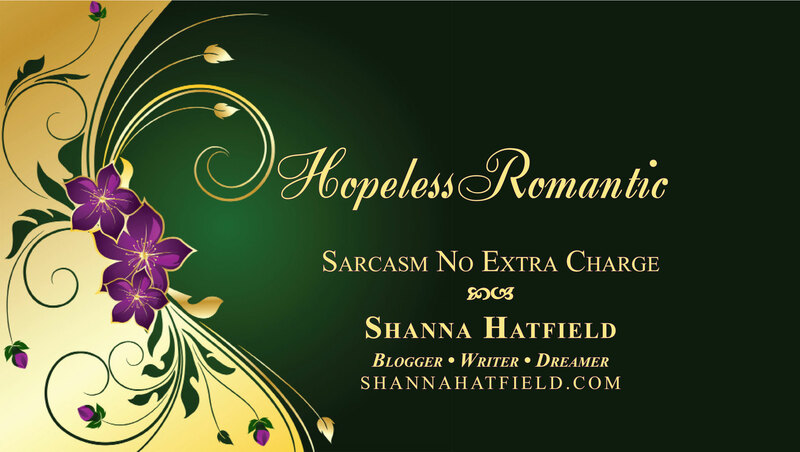 I tried to choose things with varied color. 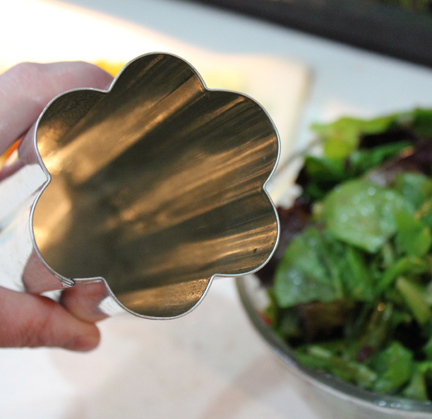 You need a mold to put the salad in. 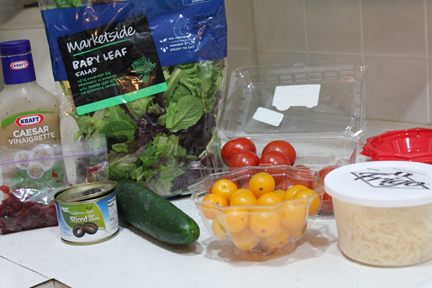 You can use a small mold and make individual salads (which would probably be easier than the gigantic mold I made). 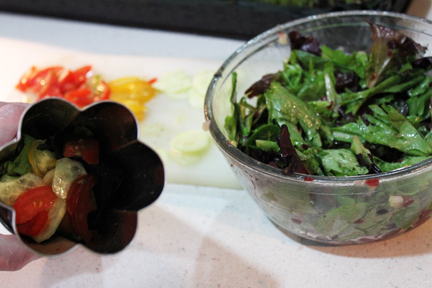 After you toss the lettuce with dressing, start layering it with the veggies. I think my layers went something like lettuce, tomatoes, cucumber, beets, olives, then repeat. Pack it tightly or it won’t hold the shape. Let chill for about twenty minutes. 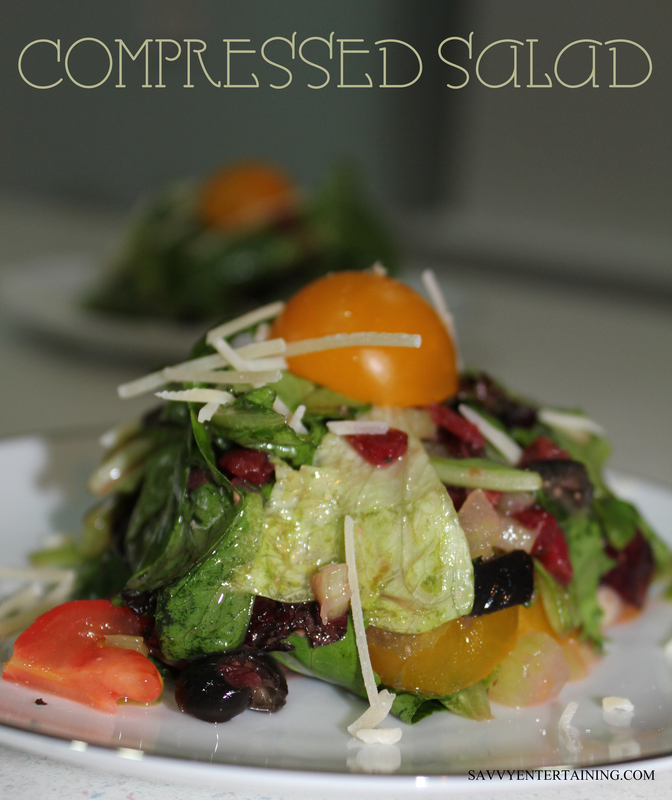 This isn’t something you’d want to let linger for a long time because the dressing makes the lettuce limp in a hurry. 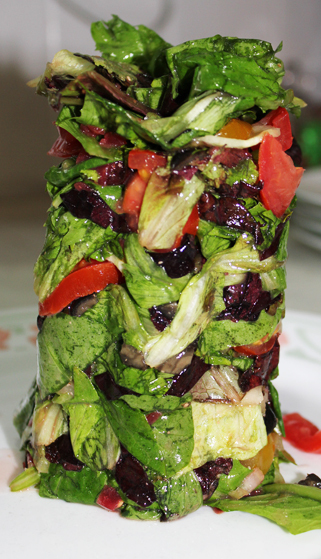 Remove from the mold and you have an amazing tower of salad! Then serve! I garnished with some grated Parmesan and a tomato. Mix the lettuce with the dressing. Using a mold or form, start layer lettuce with tomatoes, cucumbers, olives and beets, pressing down tightly until form is filled. Chill for fifteen to twenty minutes then remove from form. If you have an individual form you can use (like a silicone cupcake form) you can easily unmold on your individual serving plates. If you are making the salad in one big form, you may need an extra set of hands to get it out of the mold then divided into individual servings. Thanks for another savory recipe. Should come in handy this salad season!